Storm is a Waler that came in to the workshops. 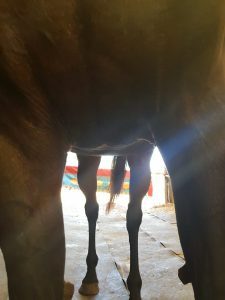 He is a perfect example of how dropped ribs and a tight psoas area can pull horses back out of alignment. 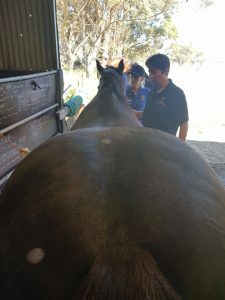 Saddle fit on this back would be an issue. 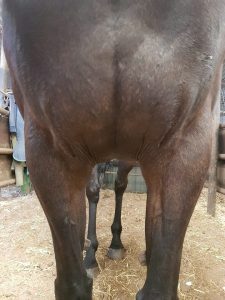 For most horses the issues starts with the 1st rib under the scapula being tweaked or misaligned. This was corrected in the Level 1 workshop. In the before pic you can see how the top line is affected by the first rib resulting in a very crooked back. Storms back after Level 1 work. 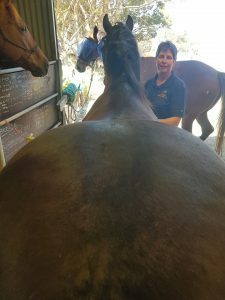 Stormy is a thoroughbred gelding that came in to the workshop with an extremely tight hind end and an off centred barrel as evidenced from his sternum pics showing the barrel as off centred. 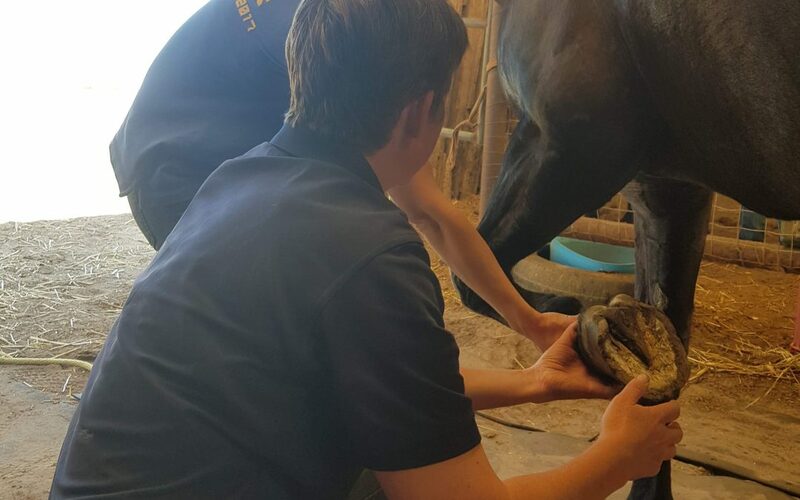 Unlike humans and other mammal’s horse do not have a shoulder joint. The connection between the shoulder blade, withers and sternum is made with muscles and tendons. The intercostal and pectoral muscles had become so tight that the entire chest and barrel is pulled off to the one side.